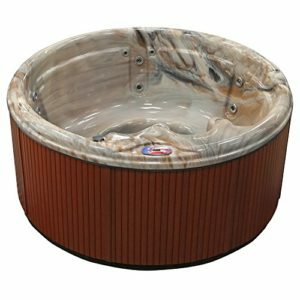 If you are looking for a high quality hot tub and price is not an issue, you are shopping in the right category. The over $4000 price range start to take you into high end hot tubs which typically are larger, and have more jets, more pumps, more unique features, or just a higher level of quality in general. We still offer the majority of these high end models at factory direct pricing so you are still getting great deals. You also start to see a bit of our Paragon and Sunrise lines which are more about quality rather than quantity, and are therefore priced at a premium. 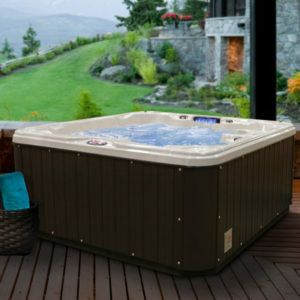 By far the most common sizes for hot tubs are in the 5-7 person range. Hot tubs with 5 person attributes some times are as large as 7 person hot tubs, but they probably include "lounger" seats which take up more space and allow you to lay down. To get a real feel of the size of the hot tub you are buying, take a look at not only the number of seats, but also the length, width, and depth (x,y,z) dimensions. Here you will find a whole range of hot tubs from best value to luxurious. All our lines are high quality, so you can't go wrong with whatever you choose.